I began making music before I was 4 years old and it seems to me that I had also always written poetry, on scraps of paper, or in school books and later stored in vast amounts on my computer. 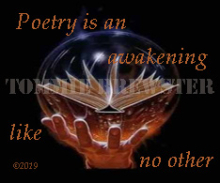 I have enough for several books of poetry, but have always hesitated to publish as my dream was to have beautiful, hard backed slim volumes and such things are expensive to produce; unless of course a literary publishing house is involved. As of 2019, I am at a stage where I have selected some of the poems to be published in two separate volumes and I can only ask you to watch this space as this all comes to fruition. 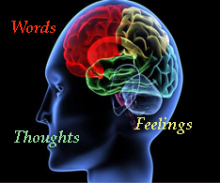 Just like music, poetry springs from somewhere within, but is more contemplative and slower, asking you to ponder and think and go deeper. 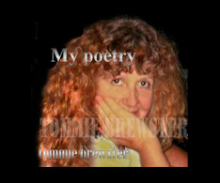 All images, music, lyrics, poetry, videos, text displayed on this site are copyrighted to Tommie Brewster 2007-2019 and shall not be used or replicated. All rights reserved. Tommie Brewster, Tommie Brewster Radio, "Blues Journey" and "Around the World and Back Again" are all trademarked.